Effective April 1, 2013, participating provinces and territories set a price for the six most common generic drugs, resulting in $100 million in savings annually. Negotiations with suppliers have been completed for 10 brand name drugs and an additional 17 drugs are presently under negotiation. In total, joint work on these 27 drugs will result in approximately $60-70 million savings annually. In addition to pharmaceutical drugs, the two other significant priority areas for the working group over the next year are appropriateness of care and seniors care. 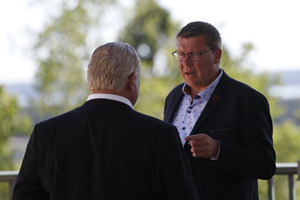 Premiers asked the working group to examine opportunities within the team-based model framework to increase the important role paramedics and pharmacists play in the provision of front line services. There is mounting evidence that some patients receive treatments that may not be best suited for their actual needs. That results in less effective care for patients and wastes precious healthcare resources. Spending on diagnostic imaging in Canada has increased significantly and now exceeds an estimated $2.2 billion annually. According to the Canadian Association of Radiologists, 10% to 20% of these tests may be unnecessary. Eliminating unnecessary tests could save $220 million each year. To make sure Canadians are getting the most out of their health care systems, all participating provinces and territories agreed to adopt guidelines as appropriate for their jurisdictions for the use of medical imaging in minor head injuries, lower back pain and headaches. The working group will look at appropriateness of care in other areas. Most seniors prefer to stay in their own home for as long as they can. Experience shows that this approach is not just better for seniors – it’s better for our health care systems. The working group will look at successful efforts to prioritize homecare over long-term care institutionalization and identify two to three innovative models for provinces and territories to consider adapting. 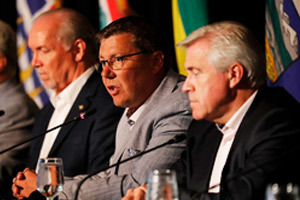 In addition, Premiers spoke about the important issue of dementia. As our population ages, it is increasingly becoming an area of concern for provinces and territories. 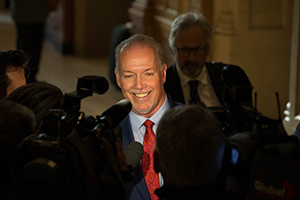 Premiers are determined to increase awareness, address the challenges and provide opportunities to improve early diagnosis and treatment. 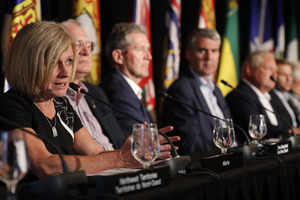 Premiers directed the Health Care Innovation Working Group to examine issues related to dementia, including identifying best practices for early diagnosis. Central to this is raising awareness of the early warning signs and various methods of intervention. 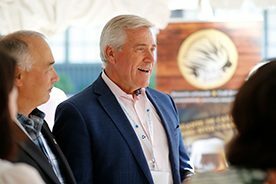 Premiers thanked Premier Ghiz and Premier Wall for leading health ministers for the last 18 months and also thanked health providers for their ongoing engagement.